Our Unique protection technologies, will help to don't lost money due to technical issues or not responsive trading software. Forex hosting for Scalpers. Perfect if your strategy require ultra low latency to the broker's servers. Usual Choice of the Professional Traders. Direct Market Access (DMA) with low execution times. Suitable for Average traders where execution time and slippage are not important. Guaranteed the technologically fastest order execution times without slippages. Ours High-availability clusters use redundant servers in groups that provide continued service when system components fail. Tier 4 data centers where all components are fully fault-tolerant including uplinks, storage, chillers, HVAC systems, servers etc. Everything is dual-powered. Technology that guarantees 10000 times lower latency compared to 3G/4G GSM mobile internet connection. Our services are 100% reliable, but in order to be quite honest, there may be an very rare emergency situations with few seconds of interruption. I’m trading for the last few years, but never achieved such high results. Ever since I started using NextPointHost’s VPS servers the direction is only one - up to the top. Trading is very stable without unpleasant surprises. Overall I am very happy that my strategy working good. I'm nextpointhost client since 2010. Thanks to their vps hosting I have been successful trading and my profit growing constantly. Also thanks for the good support of Nextpointhost team. Best Regards from Germany. Those vps hosting is my best decision. I'm Jan from Switzerland. I'm an engineer but whole-hearted at forex trading. As a technical human I choose NextPoint servers, because of no downtimes, low latency and always up system. 24/7 Access to your Forex VPS no matter what kind of device use! Host for FX brokers' trading servers, Direct connections to many additional brokers and ultra-low latency to others result in exponentially faster delivery of your trade order to your broker. Low latency means no ticks are lost in transit, so you receive every single tick. This is important because trading software can only work when it receives a tick. Low latency + resilient, hardware virtualizated, enterprise-class virtual machines results in immediate processing of every tick, minimizing slippage. We operate our own strategically placed network and so the buck stops here when it comes to your uptime and quality of service. What are the reasons to use Forex VPS in trading? Reduce your Slippage. The NextPointHost's Forex VPS servers have 10 000 times lower latency compared to 3/4G GSM Networks. Trade even if your power or internet connectivity goes out. Be independent from power supply and Internet provider. Trade anywhere from any kind of device. Ability to store files on your own online hard disk. How Forex VPS will increase my profits? The forex trading is business with high risk, where no one share completely what exactly doing. We can not give you 100% accurate answer. Keep in mind that what may work very nicely for someone else may be a disaster for you. Conversely, that has been discounted by others, may turn out to be right for you. This means you need to use VPS server at least 2-3 months, then personal to see how much your profits will be increased. The feedback we get from our satisfied customers is that their profits are increased with more than 50%. Can I immediately use Forex VPS? Yes, NextPointHost's Forex VPS are ready to use, specially optimized systems for the Forex Traders and Automated Trading. They comes with preinstalled terminals and AlwaysUP protection. All you will need to do is log in to your MetaTrader 4 account, or download and install other software you would like to use. Do I need additional knowledge to using Forex Server? No. Our highly profitable forex servers use the same OS as your local PC. Think of them as a high speed computer, working without interuptions 24/7. More information can be found at our Forex VPS Beginners guide. Do you offer 24/7 Insanely fast support with a heart? YES. Our support agents are available 24/7 for Live Chat or Ticketing support. We add our unique solutions to any platform and improve its performance! We'll put up personal profiles of all our employees. Each time you get in touch with one of our representatives via our Support Center, you will be able to see their profile with technical background, years of experience, specific areas of expertise and interests. Putting the face behind the name and the title in the digital age makes communication more human - and ultimately far more pleasant. How can I install programs on Forex VPS? The installations of additional software happens in the same way as you do it on your local PC. You have to run the installation .exe file and following the installation wizard. You can launch Chrome or Firefox to browse the internet, access email, etc., and download any applications that you might need. Of course, if you would like help installing any software that is not pre-included, we will be happy to assist. Simply open a support ticket to request assistance with something. We accept PayPal , Credit/Debit Cards, Skrill, PerfectMoney, Bank Transfers, Western union, MoneyGram, Bitcoin & Cryptocurrencies payments. If you overpay, credit will be applied to your account; this allows you to prepay if desired. Account credit is always used before charging other type of payments for ongoing service (if there is no active PayPal subscription). What are the benefits from recommending forex vps to others? We have an affiliate program that allow you to earn 50% fees for each Forex VPS activated via your affiliate code. For more information visit our Affiliate page or ask our support team. Where I can find more information about Forex VPS? The NextPointHost is oldest Forex Hosting provider in the world. We created the whole new section of the hosting business. 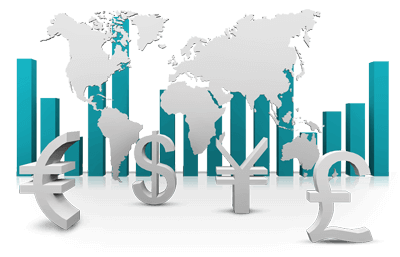 In ours Forex VPS Tutorials will find the reachest collection how to guides, classified in several subcategories. GRAB YOUR rock solid, ultra low latency trading server!